If you have credit or finance problems and have gone to other dealerships, chances are you had an unsatisfactory experience. First, once they learned your credit was less than perfect, the way you were treated was most probably less than friendly or courteous. You were probably shown a limited selection of low quality vehicles that were far from the type you might want or need. By working with our Special Finance Department here at Paul Miller Honda of West Caldwell, you can avoid this ill treatment and experience, and feel confident we will do everything possible to have you pre-qualified before you even walk into our dealership. You have already begun our tried and proven process by providing your financial information for which we thank you. 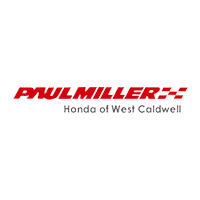 Our Paul Miller Honda of West Caldwell Special Finance Advisors are specially trained with many years of experience in this very specific area of automotive finance. We do not provide a “one size fits all” solution, as every situation is different. We work with numerous banks so we can gain more approvals. Many credit programs are time sensitive. In order for Paul Miller Honda of West Caldwell Special Finance loans to get approved with the least delay and angst, we have an exclusive process in place that must be followed. One of our special finance managers will be in touch with you shortly to discuss your individual needs and requirements. He will provide a protocol designed specifically for you, and we urge you to follow his directive. Want to get a head start on the financing process and save time at the dealership? Fill out our quick and easy finance application today! Our aim is to provide a courteous and positive experience for you and your individual requirements. We look forward to shaking hands as we hand you the keys to your new Paul Miller Honda of West Caldwell car, truck or SUV.